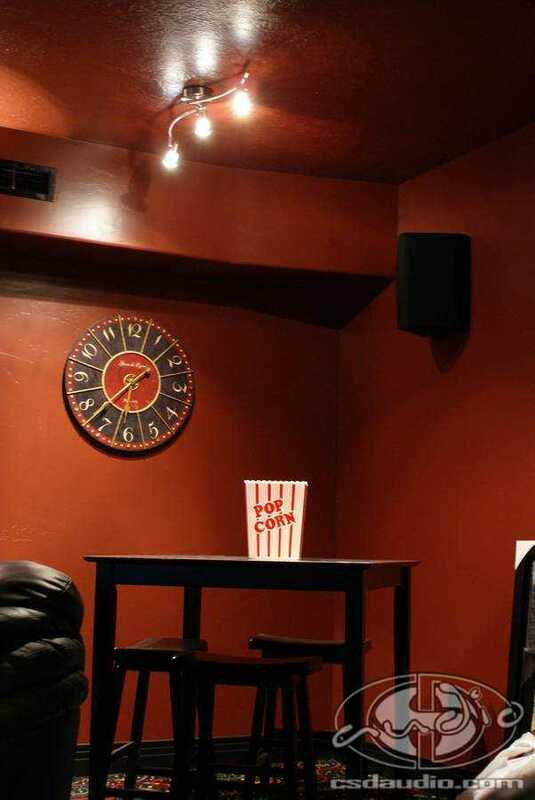 These guys built a great big room in their new basement for their home theater. 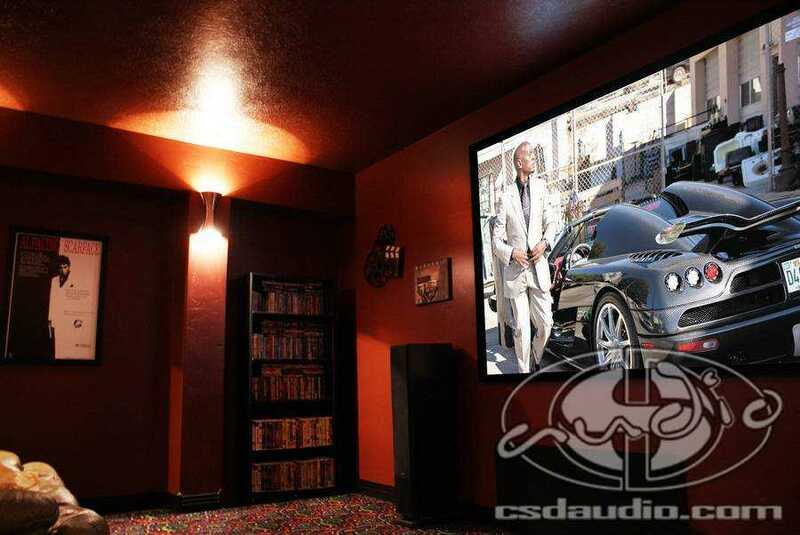 CSD Audio provided the great big movie screen, a 123″, to go with it. 3 Polk Audio front speakers, 4 surround speakers and a CSD exclusive custom designed subwoofer along with nearly 2,000 watts of amplifier power provides great big sound. 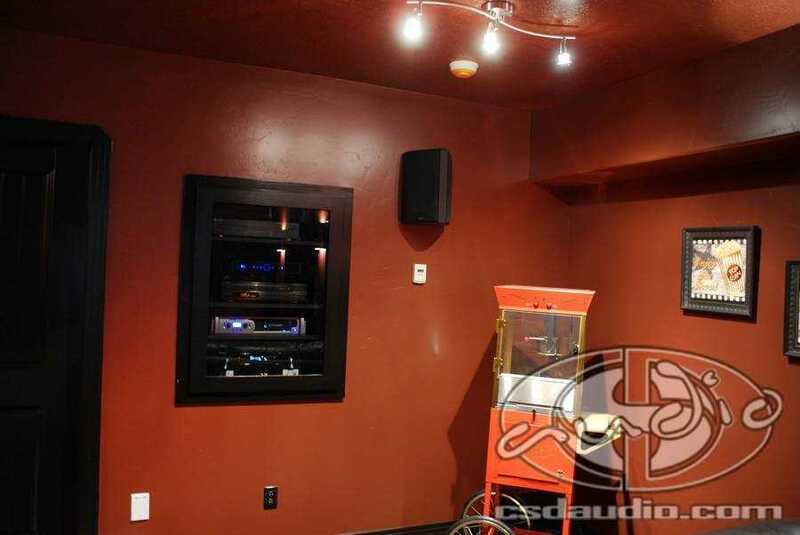 The room was built with a special alcove in the wall for the subwoofer, so the massive bass could be heard but not seen. 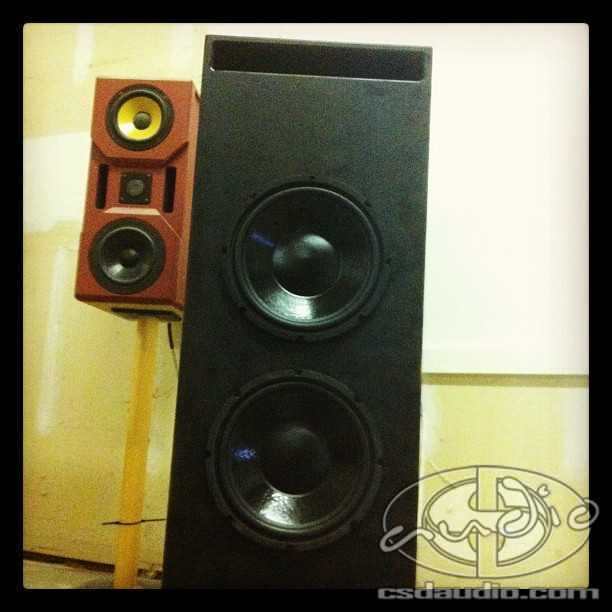 CSD Audio started as Custom Speaker Designs before the name was shortened and this is what we’re all about. Being able to create custom speakers and subwoofers allows us to tailor the audio system’s performance precisely to the unique needs of each client. 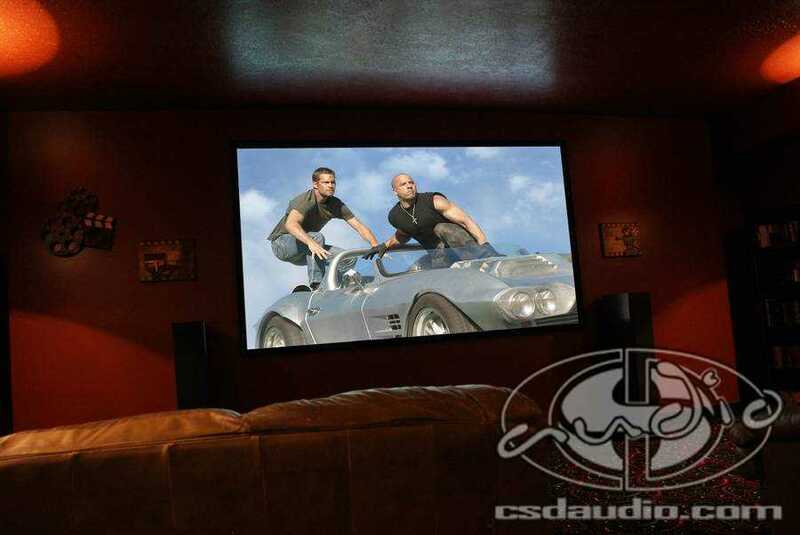 Come take a listen to the CSD Demo Theater featuring custom built speakers and massive subwoofer system sporting dual 18″ woofers. Contact us to arrange a special listening session. before installing it behind a custom panel in the wall. should be heard, not seen. A custom panel was built to hide the woofer but still let it's deep bass be heard.